144 Envelopes is a new concept in fundraising that allows individuals to donate to the future of local business commerce and also gives them a chance to win some amazing prize packages! 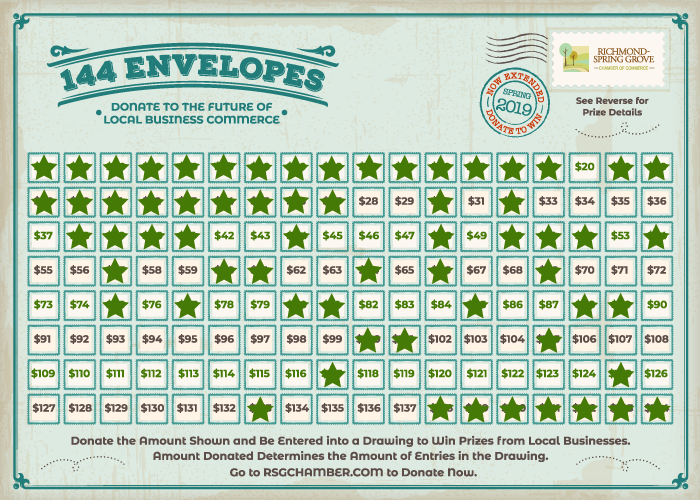 For example, if your favorite number is #49, choose that envelope and you donate $49. Your donation of $49 will give you 49 entries into the drawing to win one of the eight prize packages listed below. Want more chances to win? Choose a higher number. Envelope #122, gives you 122 entries into the drawing for a donation of $122. Make sense? Click the Register Now button above to purchase your envelope. Sorry, $144 is already taken! Donating to this fundraising campaign helps keep our chamber running so that we can continue to provide more events and programs that directly benefit our local businesses, drive traffic into their stores and ring their cash registers! 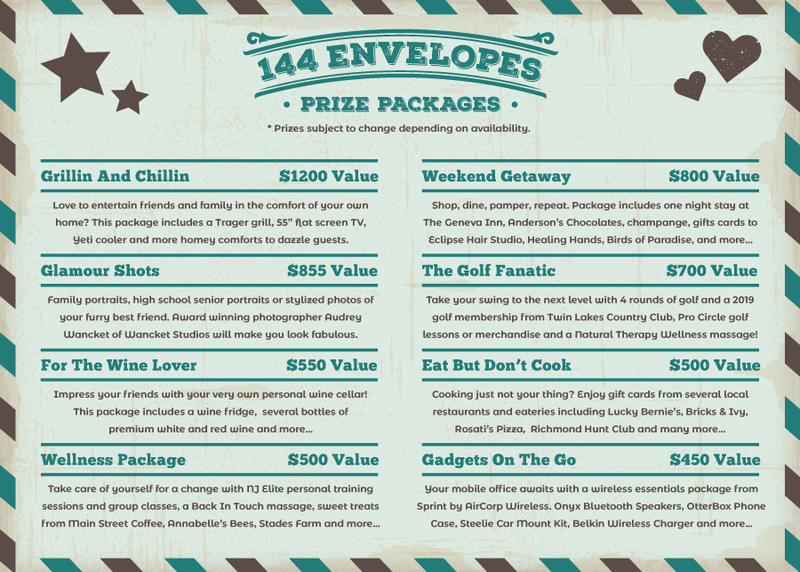 Check out these amazing prize packages valued from $450 - $1200! Choose any event date to register and purchase your ticket. The dollar amount of the envelope determines the amount of entries in the drawing.